Because of Taylor’s strong belief in helping children in need, the Taylor Emmons Scholarship Fund has partnered with The Payton Wright Foundation. The Payton Wright Foundation was established after their little girl named Payton passed away from brain cancer. The Payton Wright Foundation’s mission is to raise awareness and funds for pediatric brain cancer research and to financially assist families caring for a child with brain cancer. This holiday season, both foundations will come together, to celebrate the season with gorgeous hand-made wreaths from “Taylor’s Tree Farm” in Maine. This means for every wreath sold – you will be helping two wonderful non-profit foundations help others. Both foundations are all about helping children. Their goal this year is to ask corporations and businesses to possibly purchase the holiday wreaths as their chosen holiday gift for their employees, prospects, partners, vendors, neighbors and family members. It is my hope that you will share this and reach out to all of your contacts and help spread the word and remind them that these gifts are tax deductible. It may only be September, but as we all know the holidays will be here before we know it. Their goal is to sell 2000 wreaths…please help them reach this goal. On behalf of Mike and Katie Emmons, the Taylor Emmons Scholarship Fund and The Payton Wright Foundation…we thank you for your continued support and assistance. Because the holiday season reminds us all of family, I can assure you that when you look at your wreath hanging in your home or office…it will mean more than just a wreath…it will represent the hope you gave to children. This holiday season, decorate your home with a gorgeous handmade wreath from Maine that looks beautiful and helps two great causes…The Payton Wright Foundation and The Taylor Emmons Scholarship Fund!Wreath Delivery is the first week of December…ORDER NOW! Balsam Fir branches cut fresh from a tree farm in Maine. Adorned with festive red berries and pine cones. Choice of red or burgundy bow. The Taylor Emmons Scholarship Fund…provides opportunities socio-economically diverse students to experience an independent, college preparatory education at The Out-of-Door Academy’s Upper School. They will learn in an environment which allows students to strive to achieve their highest academic goals and build character through a balanced program of academics, the arts and athletics. 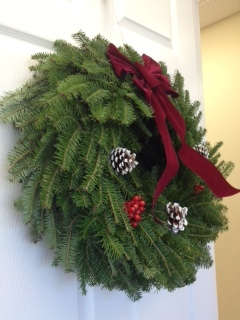 Visit Temmons.org to learn more and to ORDER YOUR WREATH ONLINE today! Delivery will be the first week of December 2013. We deliver anywhere in the continental United States. The Out-of-Door Academy on Tuesday, December 3, 2013 after 3:30 pm to 5:30 pm. Lakewood Ranch 5950 Deer Drive, Sarasota, or Siesta Key 444 Reid Street, Sarasota. Wreaths will be delivered to your car door by members of Taylor’s Trees Club of ODA. At this time in the school year, most high school teenagers are starting to count down the days until their homecoming dance and Christmas break; but one extraordinary junior at The Out-of-Door Academy in Sarasota, FL, Desmond Lindsay, has his sights set on bigger things…giving back and making a difference in his community. Lindsay has been given a unique opportunity not many his age get to experience. 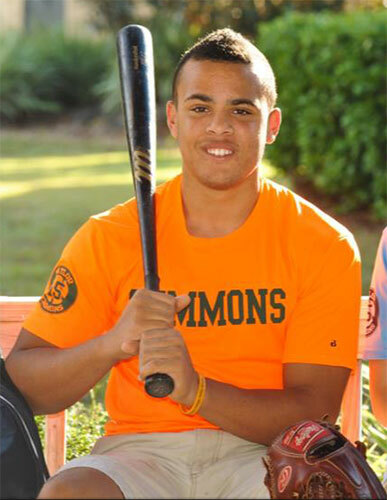 He has been selected to play on the 2014 Power Showcase All-World/All-American Baseball Team, being held January 2nd – 5th, 2014 at the Miami Marlins Ball Park. This prestigious event showcases the most prolific amateur high school baseball players in the world, brought together from twenty countries. Fans and MLB scouts alike will get their first glimpse of the upcoming international talent, as the event will be broadcast/streamed live world-wide. While Lindsay will proudly represent Florida (he’s PG Ranked #1 1B in the state) in the Home Run Derby, as well as the United States (PG Ranked #5 in the nation) in the All-World/All-American Baseball Classic during this four day baseball extravaganza, his participation signifies something more for him, his family and his supporters. As Lindsay will tell you, he feels fortunate to be able to attend the Out-of-Door-Academy, a college preparatory school offering a well-balanced program of academics, the arts, and athletics. 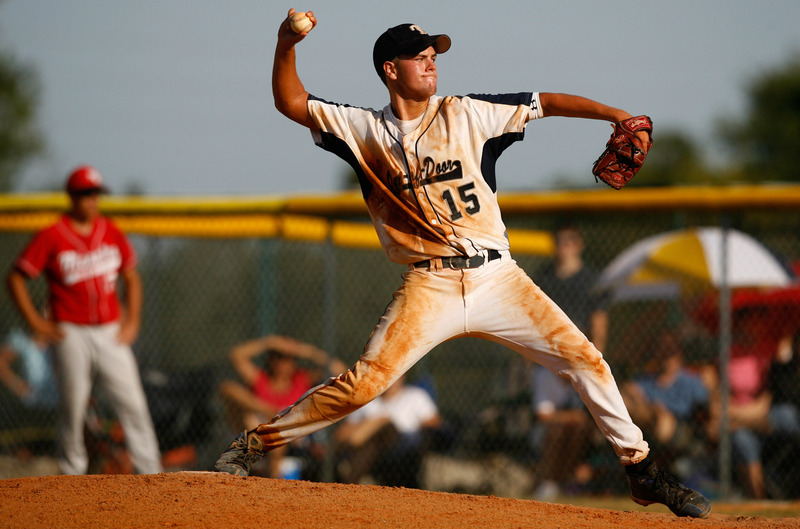 He has thrived in the diverse environment, excelling in his studies and as the starting first baseman for ODA’s Varsity Baseball “Team Thunder,” due to the support of his teachers, coaches, family and the Taylor Emmons Scholarship Fund. Being the fund’s first recipient, which provided him a full four-year scholarship, was an honor Lindsay did not take lightly. He continues to look for ways to give back and contribute to the fund’s mission of providing opportunities for socio-economically diverse students to experience an independent, college preparatory education at The Out-of-Door Academy’s Upper School. Lindsay is determined to help other deserving students in his community get the educational background that has been offered to him through the Taylor Emmons Scholarship Fund. While Lindsay has won many awards and honors, he has not let that affect his ego or friendly approach with everyone he comes in contact with. His intense desire to give back and make a difference in the community is evident in the way he conducts himself and values his peers, superiors and even guests. To get involved and support Desmond Lindsay and his desire to give back through his performance and participation in the 8th Annual International Power Showcase, being held January 2nd – 5th, 2014, please contact Robin Lindsay at 941-962-1626 or visit DesmondLindsay.org to make a pledge. Honoring a Legacy. Transforming a future. One Student at a Time. In honor of Taylor Emmons, Class of 2009, The Out-of-Door Academy along with the Emmons family has established The Taylor Emmons Scholarship Fund. The Taylor Emmons Scholarship Fund was created to keep Taylor’s selfless spirit, concern for others, and love for The Out-of-Door Academy alive for generations to come. Each year, the scholarship provides financial assistance for talented students who want a brighter future to experience the many benefits of a college-preparatory education. The Taylor Emmons Scholarship Fund will provide opportunities for socio-economically diverse students to experience an independent, college preparatory education at the Out-of-Door Academy’s Upper School. The Scholarship will be awarded annually to a deserving eighth grade student who otherwise would not have the means to attend. If you know of a deserving student for this unique, four-year scholarship to The Out-of-Door Academy’s Upper School, please encourage them to apply immediately. This scholarship will cover up to the full cost of tuition for four years minus comprehensive fees. Who may qualify for a scholarship? Accept the challenges and responsibilities of attending a school where students strive to achieve their highest academic goals and build character through a balanced program of academics, the arts, and athletics. Exemplify Taylor Emmons’ qualities of gratitude, kindness, good humor, and appreciation for others. A selection committee comprised of the Head of School and the Director of Admissions will review applications. The committee will consider character, academic achievement, as well as extra-curricular and community service activities.